What Does It Mean to Lock or Float Your Mortgage Rate? Today's housing market is full of increases. Home prices have been consistently rising, as well as mortgage rates. As of late July 2018, the average 30-year fixed-rate mortgage was 4.54 percent, according to Freddie Mac's Primary Mortgage Market Survey. That's significantly higher than the same period last year, when rates averaged 3.92 percent. Rates aren't showing many signs of slowing down. The Federal Reserve is expected to raise the federal funds rate—which indirectly affects mortgage rates—two more times in 2018, and a few more times in 2019. With that in mind, homebuyers might be concerned about receiving an affordable interest rate on their mortgage. This is where deciding between locking and floating a mortgage rate comes into play. What's a mortgage rate lock? You have to close on your mortgage within the predetermined time frame. There can't be any changes to your mortgage application. Mortgage lenders typically offer rate locks for 30, 45 or 60 days, though it's possible a rate lock with a longer term could be available. Check with your lender about their rate lock options. Fees for rate locks vary by lender, but the longer the rate lock term, the more you will pay for it. It can also be costly if you find that you need to extend your rate lock past the original term. It's also important to note that if you lock in your mortgage rate and then rates drop, you won't be able to take advantage of a lower rate—in most cases. There are lenders who offer you an opportunity to receive a lower interest rate than the one you originally locked. This feature is called a "float-down" option. When you have this option included with your rate lock, you're able to reduce your mortgage rate if market conditions cause interest rates to drop during your rate lock term. What affects a mortgage rate lock? You're changing the type of mortgage you're getting or your down payment amount. Your home appraisal came in higher or lower than expected. You applied for new credit or missed a payment on your existing debt, causing your credit score to change. Your lender had trouble documenting additional income of yours, including bonus, overtime or other pay. What does it mean to float a mortgage rate? A "floating" mortgage rate is one that is subject to daily market fluctuations. If the interest rate rises by the time you close on your mortgage, you'll lose some buying power. If the rate falls, you'll earn some buying power. Choosing to float your mortgage rate is much more risky than locking it in because you truly can't predict what mortgage rates will do from day to day. When does it make sense float or lock? When mortgage rates are showing a trend of decreasing from week to week, it might be more advantageous to float your mortgage rate until you're closer to your closing date. There's a chance you'll get a better rate when it's time for the loan transaction to take place. In a housing market climate much like today's—where interest rates are trending higher—you might want to consider a mortgage rate lock, provided you have a concrete timeline from when you'd go under contract to your anticipated closing date. It's important to consider how an interest rate change would affect your monthly mortgage payment. 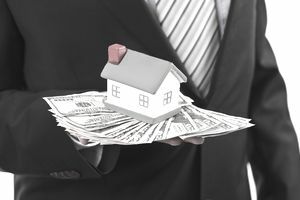 For example, the monthly payment on a $200,000 home at a 4.5 percent interest rate is $1,013, while the monthly payment at a 4.75 percent interest rate would be $1,043. That's a $30 difference that adds up to nearly $400 over the course of a year. Be sure to discuss your rate lock options with your lender and the terms associated with any rate lock terms they may have available.